In 2007, community member Jonah Shea suffered a severe injury from a diving accident. Left in a wheelchair and as a quadriplegic, Shea later created the idea of Shea’s Youth Basketball Association — “a way to give back to the community, while also providing free basketball leagues to the youth of Cape Cod,” said current Executive Director, Steve Reynolds. Shea originally ran the program as a one-man job on a complete volunteer basis. Now, the program has grown to include paid employees as well as “many volunteers who are eager to help out,” said Reynolds. Due to his health, Shea stepped away from his former position as Executive Director last April for his role to be assumed by Reynolds. 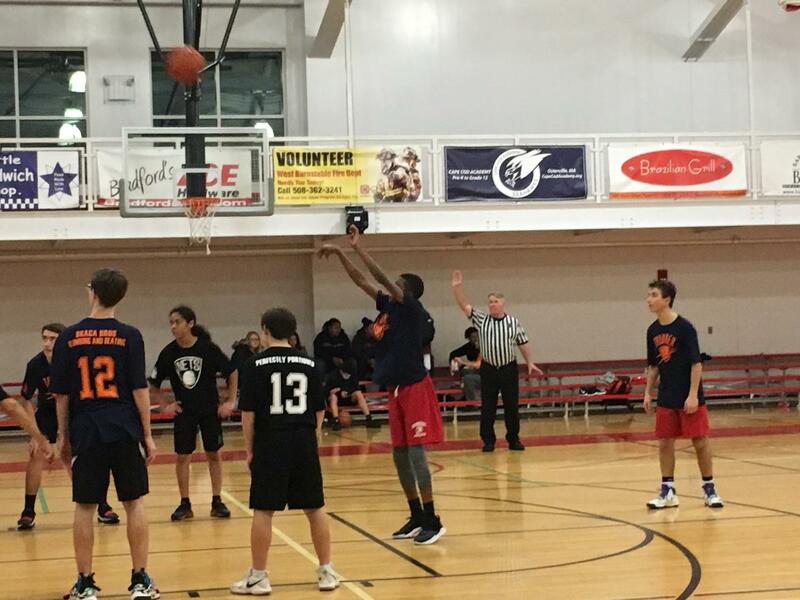 In recent years, “Shea’s YBA has now grown into two full-scale basketball leagues in both the Winter and Summer. Each league is equipped with 10 game regular seasons, playoffs, certified referees, and qualified volunteer coaches,” said Reynolds. The program now sees from 80 to 110 youth participants during their winter sessions for ages 12 through 16 and about 40 to 60 players in attendance for their summer program for ages from 11 to 13 and 14 to 17. These recreational basketball leagues are “free of charge to every participant who completes community service,” said Reynolds. Reynolds continued to acknowledge that participants who do not initially complete community service are required to leave a $50 refundable deposit in order to play and to “hold their spot” in the program. However, once community service is completed, they are then eligible to receive that money back after the season.“The benefit of this style shows our participants the value of giving back to the community, and in turn, good things will come,” said Reynolds. “Shea’s YBA is an all inclusive program regardless of skills. We urge everyone to come out and play and we stress the importance of acceptance, understanding, and respect to our participants,” said Reynolds. BHS senior Andrew Botolino started at Shea’s YBA after being cut from the BHS freshman basketball team his eighth grade year. Joining the program, Botolino found himself being coached by the same coach, Steve Roy, that cut him from the roster during BHS tryouts that winter. Botolino acknowledged that before his start in the Shea’s program he was a “timid player.” Roy taught him to “let it fly,” teaching him to put himself into uncomfortable situations. Botolino played until his sophomore year when he aged out of the program. Now Botolino performs as a coach for the organization. “[Roy] was a huge influence for me, I wanted to have the same influence, I wanted to give back,” said Botolino. 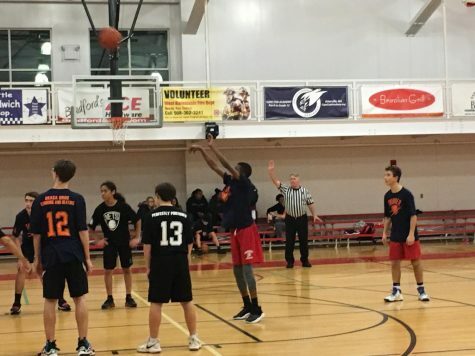 Shea’s YBA separates the players into ten teams based on skill-level, yet organizers strive to make the groups even by balancing the amount players of more or less experience. “Some players are starting for their high school jv teams while others are picking up a basketball for the first time,” said Botolino. Botolino is an assistant coach for the team “Thunder,” named after the professional NBA team like all eight teams. Players are given uniforms funded by local companies and sponsors and all coaches are volunteer. Reynolds urges Barnstable High School students to contact the organization as Shea’s is looking to have more college and high school interns on staff in the future.